Tattoos are a rage these days and a person with a cool tattoo always stands out in the crowd. The design of your tattoo reflects your persona thereby making a bold style statement. 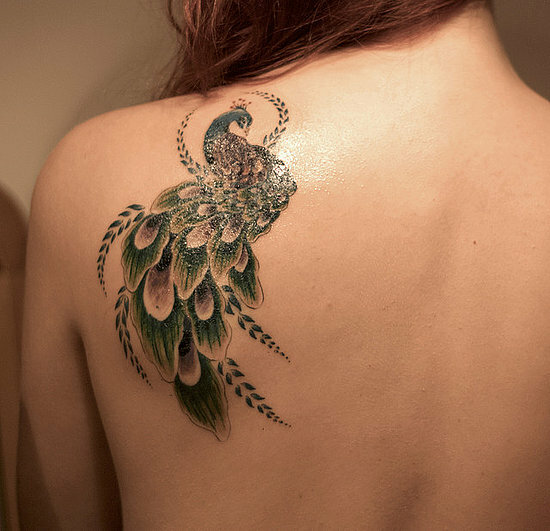 Therefore while being tattooed, you should opt for a hip and exceptional design to adorn your body. Since tattoos are for life, you should be extremely careful and choosy while selecting the right tattoo design. If you are planning to be inked but are not sure which design to go with, we are here to pave your way in choosing the perfect and trendy tattoo design for your body. Selecting the right kind of tattoo is not a difficult task. You should consider certain factors while selecting a tattoo for yourself. The prime factor required here is to be sure about the kind of tattoo design you are comfortable with – a simple tattoo or an intricately designed tattoo. Once you make up your mind on this factor, the next step is to select the perfect tattoo design. Some people are creative enough to design their own tattoo as per their thoughts and creativity. However, others face a hard time selecting a tattoo design, as they are not sure of what they exactly want. If you are one of them, then all that you need to do is to follow the below-mentioned guidelines as we give you some great ideas to find best designs for yourself. Tattoo shops are the best source to find out the best tattoo design for your body. Every tattoo shop provides you with numerous portfolios with wide variety of tattoos to choose from. An added advantage of choosing tattoo design from tattoo shops is that the tattoo artists available at the tattoo shops guide you in choosing the best tattoo design. Moreover, they can also advise you on the latest designs that are in demand. Tattoo artists being skilled in the art of tattooing, can also create customized tattoos as per your choice. If you have friends who are tattoo lovers, they can be your best guide to help you choose the best tattoo design. Moreover, they can also help you in finding the best artist and shops in the locality. Another best way of finding cool and crazy tattoos is to search for designs over the internet. The world wide web is swamped with numerous tattoo websites that offer wide variety of elegant and unique tattoo design to choose from. Such websites, which offer classic as well as contemporary tattoo designs, are easy to access. While some of those websites do not charge any registration fees, few charge a minimal amount for signing up. You can easily print out the chosen design and get it inked by a skilled tattoo artist who can create the exact replica of the tattoo design preferred by you. Want a breast cancer tattoo for awareness?